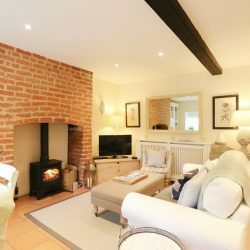 Quietly nestled down the pretty ‘Lee’s Yard’ just a stones throw from the centre of the sought after Georgian market town of Holt in North Norfolk, The Bolthole is a stunning little romantic retreat jam-packed with character and beautifully finished in a rural French style. 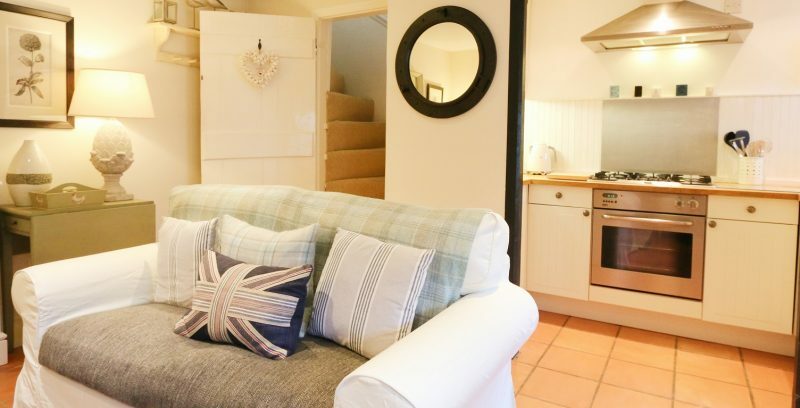 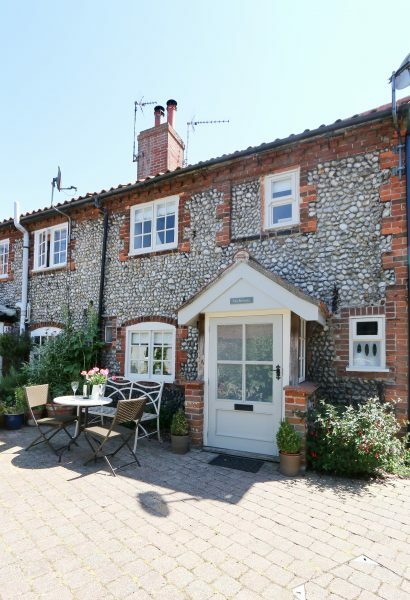 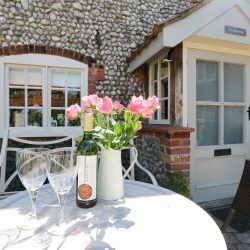 Recently renovated to a high standard throughout, this gorgeous little cottage is perfect base for couples looking to explore everything that this designated ‘Area of Outstanding Natural Beauty’ has to offer with the benefit of a plethora of amenities Holt provides right on the doorstep! 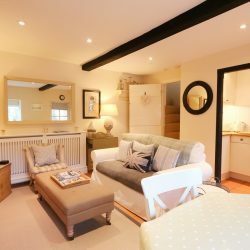 One enters the property via The Boltholes pretty ‘courtyard’ area and in to the cottages lovely open plan living space. 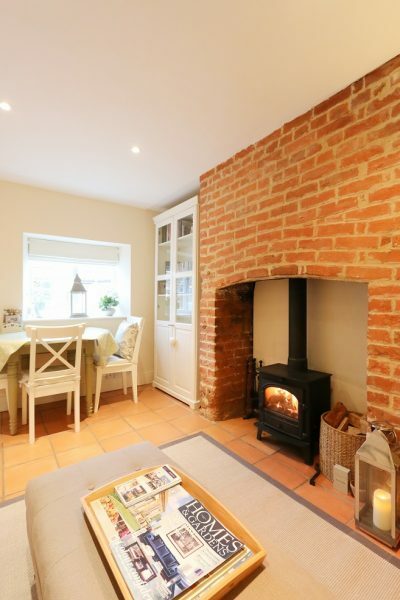 The light and bright sitting room has a comfy sofa and a sweet occasional chairs arranged around the feature fireplace which houses a log-burner. 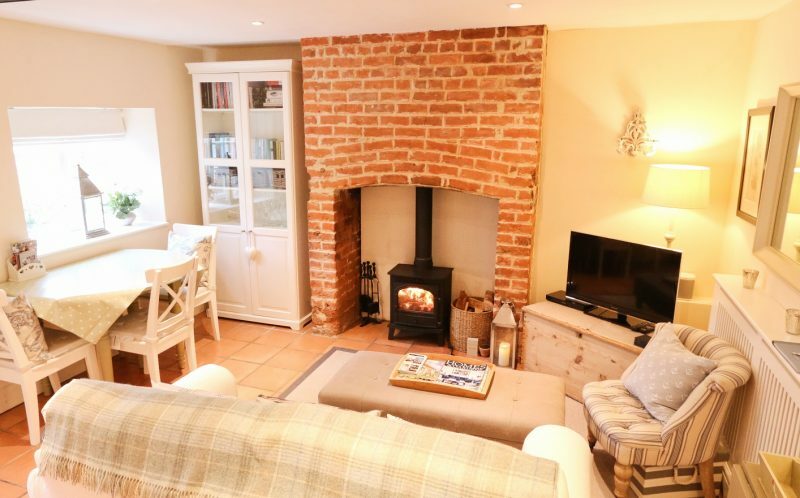 This room is beautifully styled and furnished has a lovely cosy feel making it the perfect place to snuggle up for a night in in-front of the log-burner. 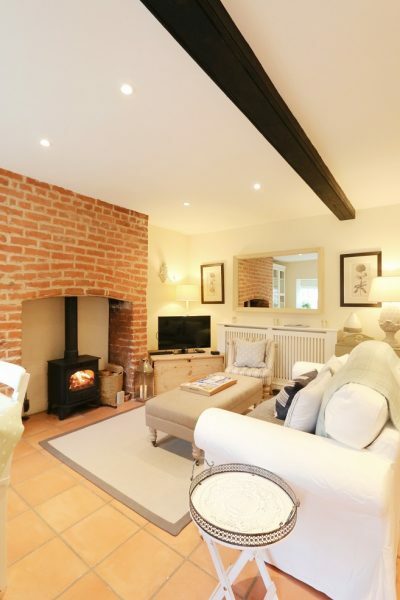 There is a large LED SMART T.V. 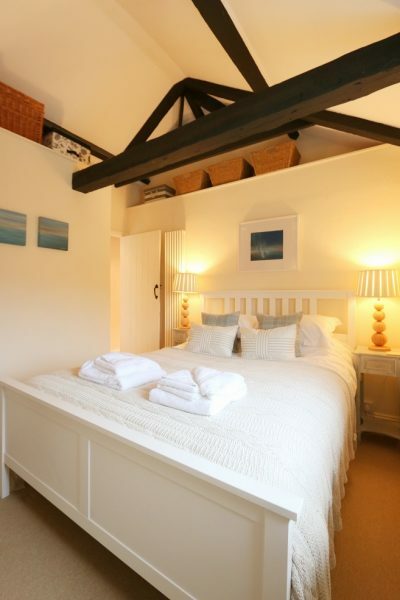 in this room with DVD player and a pretty dresser full of books, board games and a selection of DVD’s. 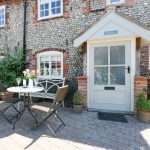 As with all Blakeney Cottage Company properties, The Bolthole has free Wifi. 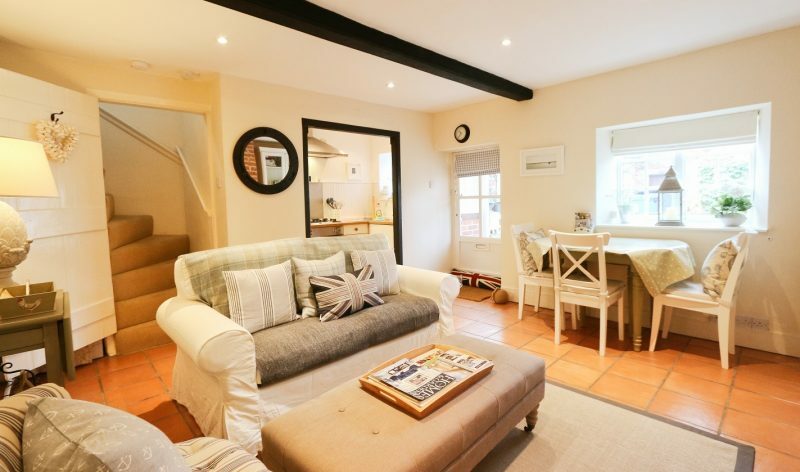 It also has a Sonos wireless speaker system. 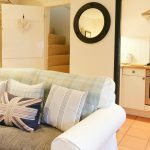 Up the traditional ‘Norfolk winder’ staircase are two bedrooms and a bathroom. 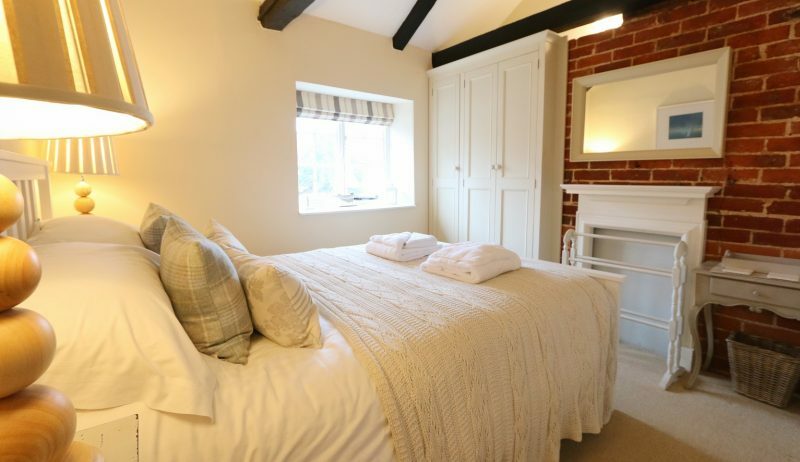 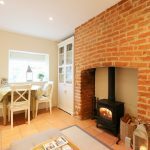 The good-sized, stylish master bedroom has a comfy king sized bed and built in wardrobe as well as lovely character features including exposed brickwork and beams, and original fireplace which has been closed. 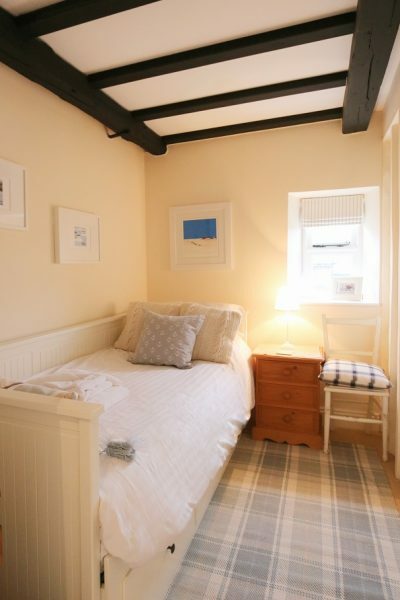 The small single bedroom has a full sized single ‘daybed’ and is a great spot for a guest or even a cot. 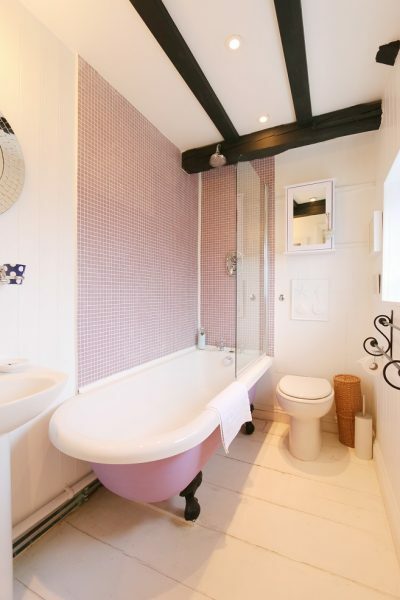 The gorgeous, colourful bathroom has a roll top bath with drencher shower cleverly installed above and fabulous mosaic tile surrounding. 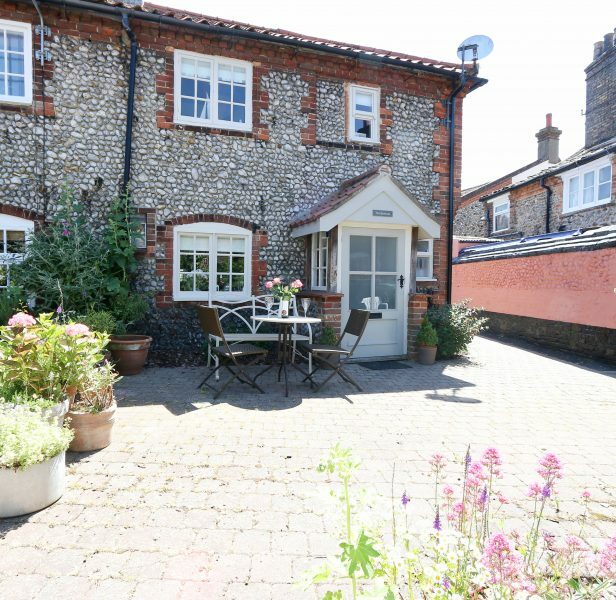 Outside to the front of the property, is a pretty courtyard garden open to a shared yard. 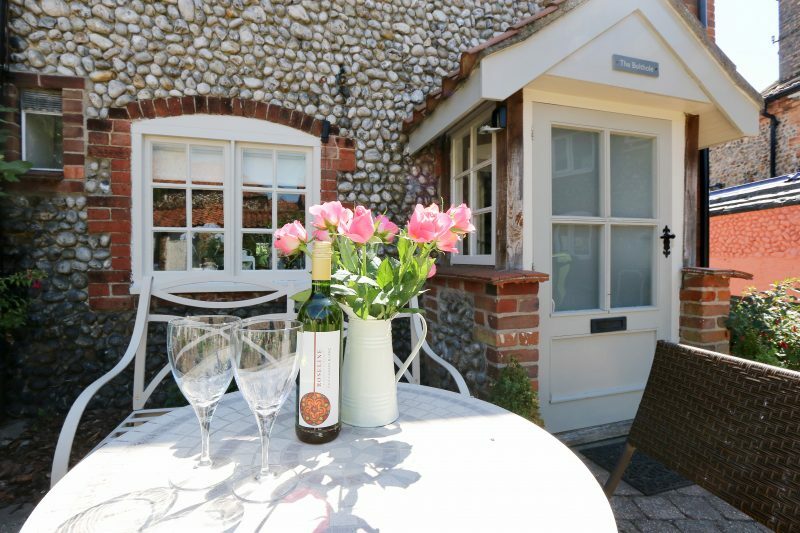 There a table with bench and chairs surrounded by pot plants and shrubs that creating a lovely little space to sit out and relax in the sun with a glass of wine. 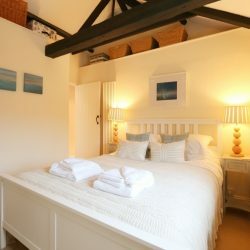 The Bolthole really is the perfect little romantic cottage for two. 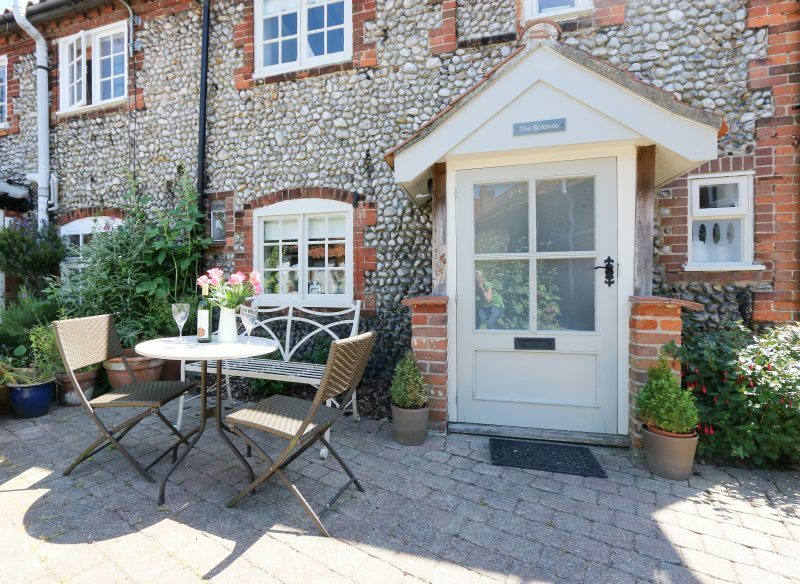 It oozes charm and character and its location, just far enough away from the hustle and bustle and yet close to all of the fantastic amenities available in Holt means it really does offer the best of both worlds; a quiet relaxing break in a quintessential bustling English town just a couple of miles from the stunning North Norfolk coast. 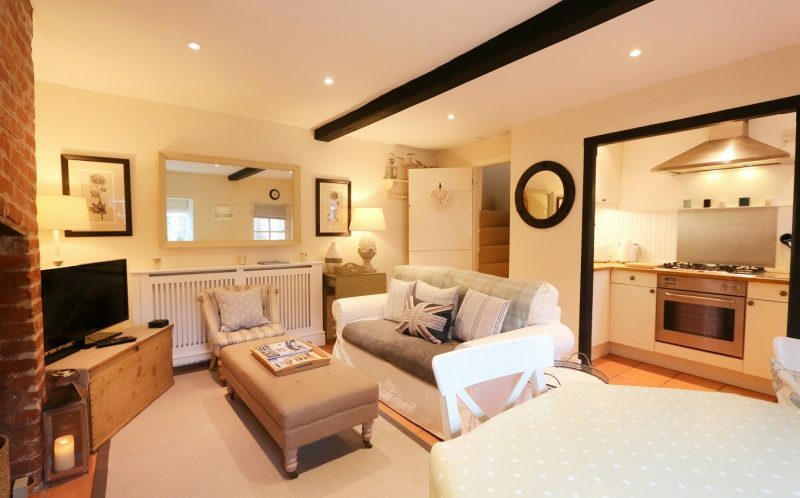 There is a designated parking spot for The Bolthole that is approximately 8-minutes walk from the property. 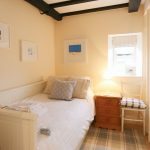 This is an extremely useful benefit, especially during busier periods.